1. 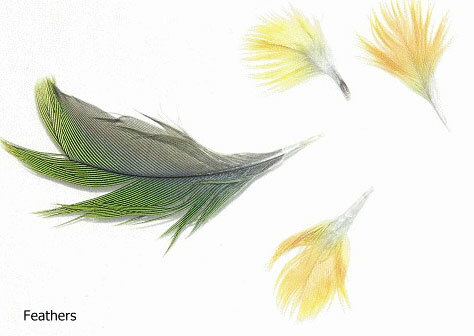 Select only medium sized mature feathers for plucking. The feathers must be physically plucked (molted feathers cannot be used for this test). Very small feathers located under the wing are not recommended. 2. Pluck 4-6 medium sized feathers from the chest area of the bird and place them in a zip-lock bag. The quantity of feathers plucked is not as important as the quality. Ensure that the feather tip, which is attached to the skin, is present (white coloration). 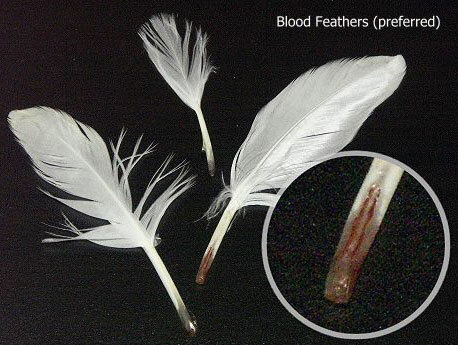 Large feathers may contain some blood which should be left on the feather. 3. Sample only feathers from one bird per zip-lock bag. Mark the bird’s identification number or name directly on the bag with magic marker (alternatively, place a piece of paper with the birds name and species in the bag). Ensure that the submission form is properly filled out including your name, address (and other contact information), as well as the bird name and species.